The write-up on the reverse of the card will be 'All photographers know that you have to be in the right place at the right time. I was tired after a long day in Eskdale and wanted to go straight home but my wife suggested going to Wasdale to get the sunset. I reluctantly agreed. 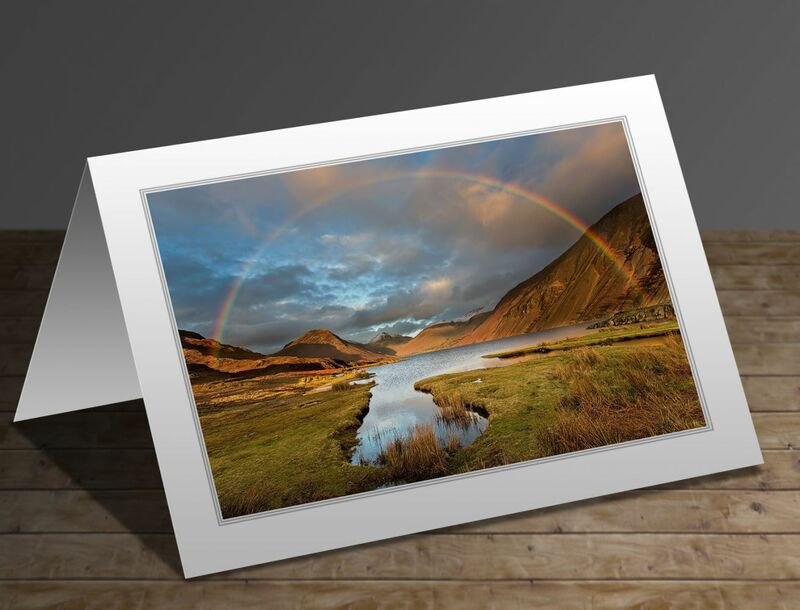 We were there for only about 10 minutes when this absolutely stunning rainbow appeared over Wastwater. It’s a spectacle that I will remember for the rest of my life. And yes, that was me in the red jacket'.